(Click on the images to see it illustrated). Download the plugin zip file, unzip it and copy it in the plugins directory of your wordpress installation. If you are using plugins like Pluginstaller or One Click Plugin Updater, copy the link to the zip file (http://www.seo-traffic-guide.de/threewl-php-page.zip) and install it. Next activate the plugin. Make sure that your WordPress setup supports Permalinks (Go to settings->Permalinks and choose “post name” (it is possible to choose another permalinks structure, just make sure you are not still on default, post name is probably the best choice for any newcomer). Go to “Settings” -> “3WL Links Page” and read the latest instructions. If you want you can already decide on on a page title and page slug (This will become your links page filename in 3waylinks). You can enter that later on, too. Open a new tab or browser window and log into 3Waylinks. Click on “Add New Domain” (or “edit” on an existing domain if you want to switch), and enter all the stuff needed for 3waylinks – description, keywords, etc. 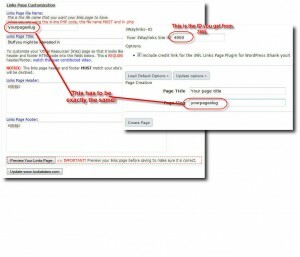 Duplicate the page name and page slug (links page name) or decide on name and slug if you haven’t yet. Note that your slug should not end in .php. The wordpress plugin is technically the same as the Inline PHP code, so there is no need for .php ending. Just give it a speaking name like “other-sites” or “good-resources”, etc. You can savely ignore the preview button as it is not needed with the wordpress plugin. 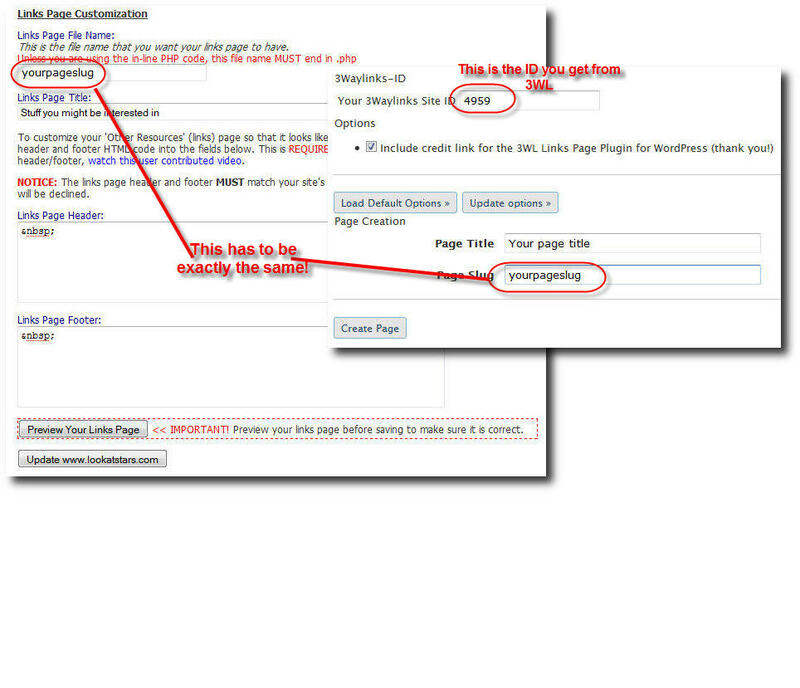 Go back to 3waylinks and on the links page copy the 3waylinks ID that is marked in bold and written quite big there. Return to the 3waylinks plugins page, paste the number into the “Your 3Waylinks Site ID” field, click “Update Options” and “Create page”. After that return to 3waylinks (You should still be on the “Download Script Page”) and click on the “Verify” button. That should have been it. If you run into problems or have suggestions, feel free to contact me or discuss it on the 3waylinks forum. Or think about letting me install 3waylinks for you, as you can image I have lots of experience installing 3waylinks even in difficult cases with misconfigured wordpress installtions, etc… here is the link:Install 3waylinks for me. 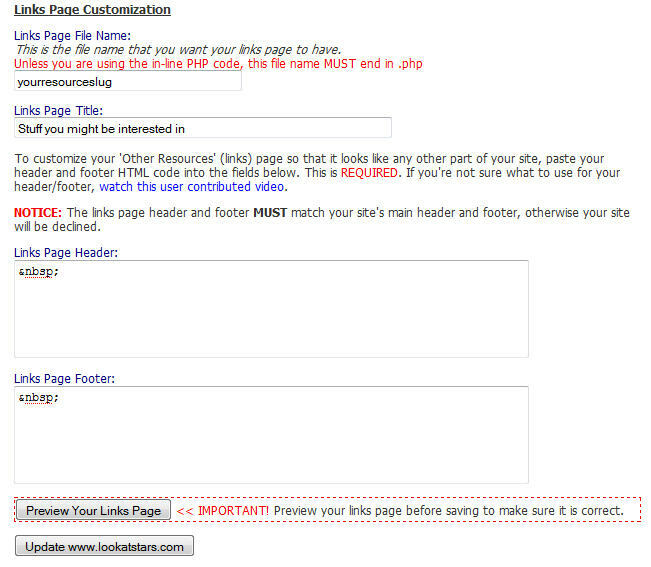 And remember, installing 3waylinks is a very good first step to get your site a boost in links. Nevertheless you should never stop learning about other ways of organic search engine optimization, too. Never rely on one method only and try to diversify your link profile as much as possible. I have followed your instructions to the letter , but when I go to validate in 3WL for the above site am told that “A link from the home page of http://www.medication-for-acne.com to relatedsites.php was not found” (relatedsites being the links page I want have the links. I downloaded the plugin and activated it on my wordpress plugin section. wnet to permalinks and ticked day and name. I have the exact same name and slug name as on the 3WL form. I also put the [threewlphppage] in an existing page. So I dont know what’s wrong. This is a nice instruction. Like to apply this one. do you happen to have some video on this one? Very clear instructions. 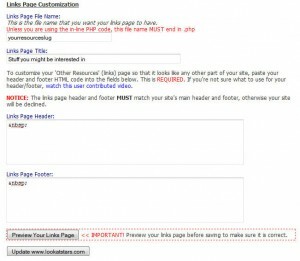 I I used this page to install 3way links plugin for one of my wordpress blogs and it worked like a charm. Thank you. Thanks for the plugin. I like to use a custom permalinks format on wordpress blogs. Is it possible to use your plugin using something other than the “day and name” permalinks structure? While this isn’t my favorite strategy, it can still work. Thanks for your instructions on this. How much is this 3 way links plugin cost? You can resort to my paid installation service if you run ino unforeseen problems with your website. hey michaeal after you have the page up and running can you change the permalinks back to post name?? after 3wayslinks is setup…. it is possible to change the permalinks structure, but you have to edit the domain in the 3waylinks backend and revalidate in order to make the resource page URL match again. Is this error easy to fix? Please click the BACK button of your browser and correct these errors before continuing. This error is usually caused by a couple of SEO plugins that interfere with the way the 3WL plugin builds the next pages of links. It can also be caused by other misconfigurations of the wordpress site. Hard to tell what is the reason in your specific case as I don’t know what plugins are installed on your site. If you choose my paid install service then debugging until the the site passes review is of course included in the service fee.